Companies that work with international clients are often faced with converting large Excel files to and from foreign languages. However, hiring human translators can be so expensive! 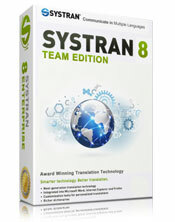 With Systran you can instantly translate your Excel documents and save thousands of dollars in translation costs. Translate Excel documents including your spreadsheets with this powerful language translator and you'll never again have to worry about spending hours cutting and and pasting individual cells. Now you can open a document, click translate and in seconds the entire Excel workbook is converted, including your individual worksheets. Plus, you can train your software to learn your own terminology, enjoying complete control. 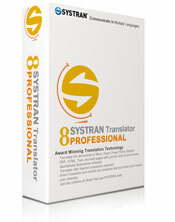 No matter what the job, SYSTRAN will make you feel like you've got your own personal translator in your computer! Locate your Excel file and convert it to and from foreign languages without even opening it. By using the Quick File Translator you can locate a file on your computer, right click and a menu will appear giving you the option to translate the file into the language you require. Want more? 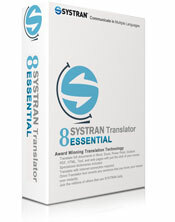 Use one of our more advanced versions to batch translate up to 100 documents at a time. Create a shortcut key that allows instant translation of any highlighted text. Excellent for single rows, columns, words, phrases or sentences. Need to align columns rows with the orginal language on the left and the translation on the right? Simply duplicate your column and translate it. Great for side-by-side referencing for proofing and editing. Easy and fast! Translates all the sheets in your workbook with just one click! Start saving by using software today! You will be amazed at how easy it is to use. Convert Excel files in seconds.